Orso is the perfect destination for the London diner, offering a busy but attentive service, animated atmosphere and tempting menu. 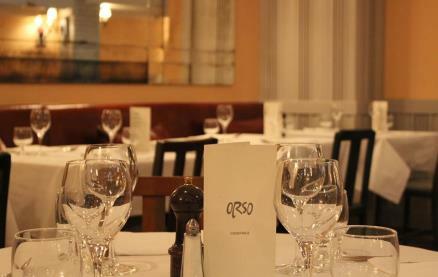 A former orchid warehouse in Covent Garden, Orso Restaurant opened in October 1985. It offers a comfortable, myriad, bustling atmosphere with pale terracotta walls, softly coloured table cloths, subtle lighting and a fine bar all with an atmosphere reminiscent of Milan in the 50's. 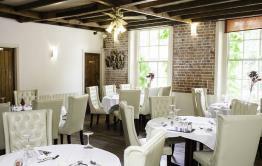 The food in the restaurant is modern country Italian, served in a lively and engaging atmosphere. 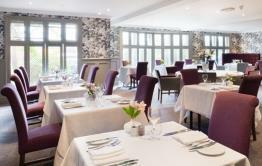 The mixture of great Italian food in a relaxing setting is a triumph of attention to both customers and detail. prides itself in using only the freshest and finest ingredients many of them such as extra virgin olive oil, arugula, puntarelle, porcini mushrooms, buffalo mozzarella and white truffles when in season, sourced in Italy. But it is not just about the ingredients, our meals are prepared to perfection, served on hand painted Italian tableware designed by Designers Guild and accompanied with a selection of fine Italian wines. Firmly established as the West End Italian restaurant of choice for the Londoner, Orso is a fine choice for lunch, a pre-theatre meal, dinner or supper after the theatre. 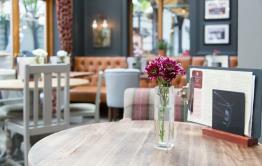 Be the first to write a review and share your experience at Orso with other diners.